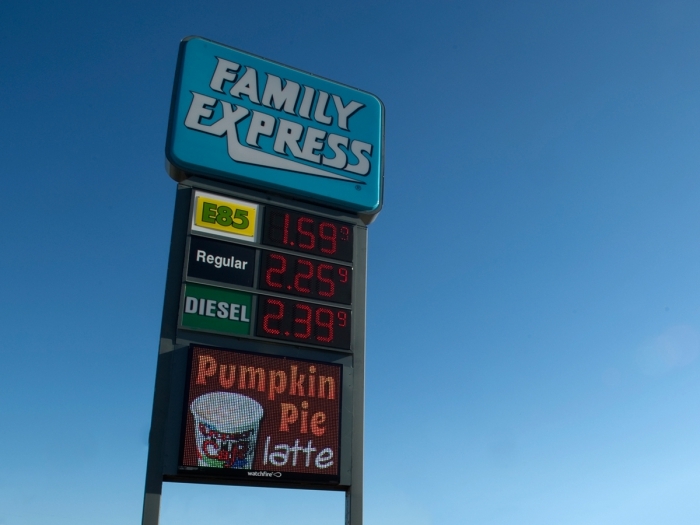 Family Express was looking for a reliable advertising solution for their chain of convenience stores. Watchfire was able to deliver great looking signs that met all of their needs. Family Express is a chain of convenience stores in the Midwest known for its passion for customer service, its unique logistical model, which delivers freshness to its stores daily, and its extraordinary labor force referred to as “the living brand.” The company was named 2015 Chain of the Year by Convenience Store Decisions and, more recently, was ranked top two in the convenience store space in terms of customer service and experience. They build relationships with customers through friendly employees, inviting stores sporting an upscale colonial architecture, enhanced landscaping plans, and sensitivity to the environment. Family Express recently selected Watchfire Signs to provide digital signage for its locations throughout the Midwest. The convenience chain has installed Watchfire 16mm electronic messages centers at nearly 90 percent of their locations to date, according to David Watson, Director of Corporate Programs, at Watchfire. Watchfire’s Ignite sign management software makes dayparting easy, with content scheduling that can change automatically according to time of day or weather conditions. Messages can be scheduled months in advance and, with cloud-based options, can be changed from anywhere there is internet access. Olympidis reports that Ignite has proven to be user-friendly and does not require highly-technical individuals in order to use it at Family Express.